A tweet from Asus ROG can be seen as evidence that previous rumors about the planned release of an ROG gaming phone are correct. The tweet shows an unknown phone attacked to a gaming controller, which leaks suggest is equipped with a Snapdragon 845, 8 GB of RAM, and a possible 120 Hz display. 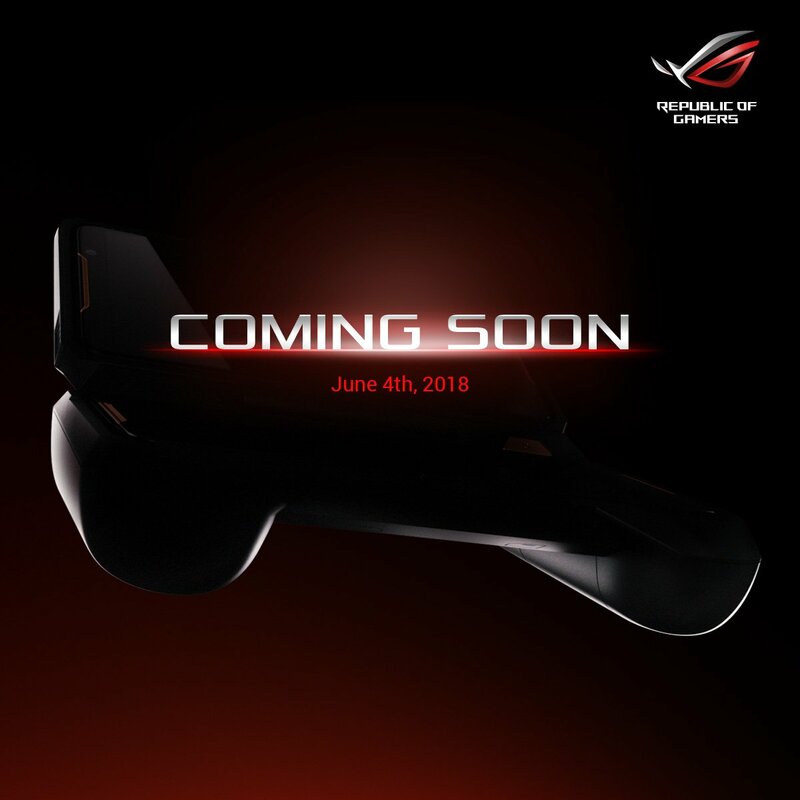 The Asus ROG twitter account has posted a dark shadowy image of what appears to be a portable game controller with an unidentified smartphone attached to it, adding weight to a previous leak about an ROG gaming phone. Considering that Asus already makes phones and that ROG is their gaming-specific brand, it wouldn’t be much of a stretch to imagine this will be a gaming orientated device. Assessing the original image and one with the brightness boosted, we can see that the phone uses a black and red/orange color combination. We are having trouble telling if the accents are red or orange since Asus has used both on ROG laptops in the past. The boosted images show a front-facing camera to the right of the earpiece and a top bezel that has a straight edge with no notch. Earlier rumors had claimed a choice between 60 Hz or 120 Hz screen with a Snapdragon 845 and 8 GB RAM. At that time we expressed doubt over a screen configuration choice, but if Asus goes with a 16:9 panel then it may well be a 120 Hz one, otherwise 60 Hz is more likely. Using a Snapdragon 845 and 8 GB of RAM would be on par with the Xiaomi Black Shark (the ZTE Nubia Red Magic and Razer Phone both use the older Snapdragon 835). We would expect a higher storage capacity of 128 GB, but there may also be a smaller 64 GB version as a cheaper option. Asus has scheduled their Computex 2018 press event for the 4th June, and we will make sure to report on any key releases.